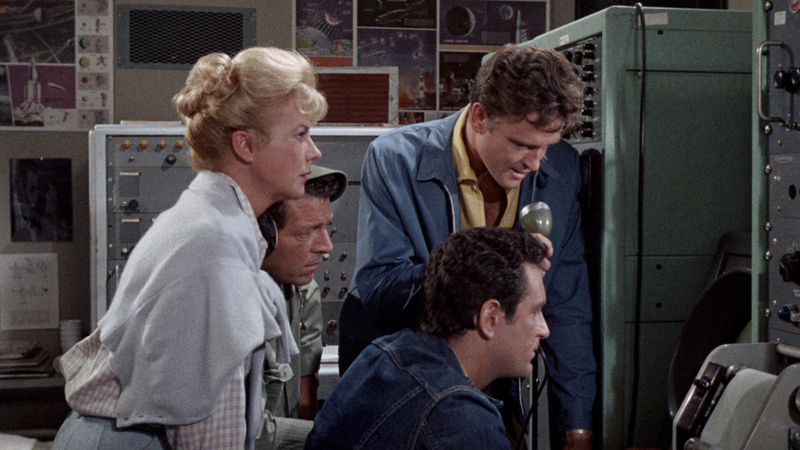 Description: Lead by the U.S. military, a team of scientists secretly travel into Red China to find the truth behind rumors of a downed U.F.O. 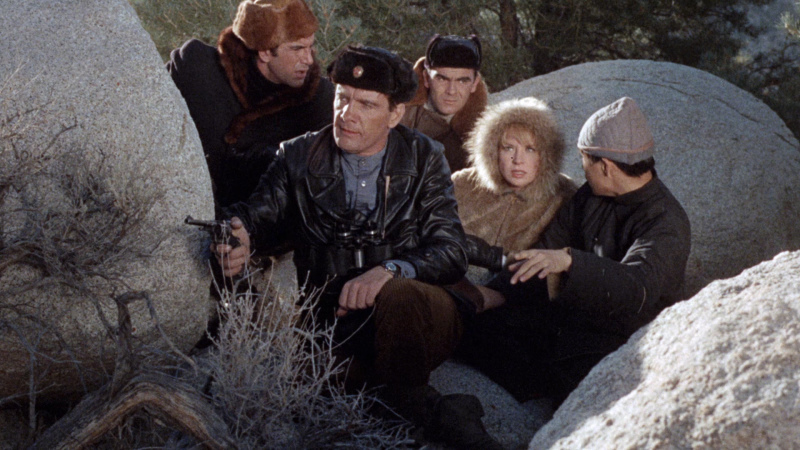 While enroute to the saucer's hidden location, the Americans meet a group of Russian scientists who are also searching for the spacecraft. 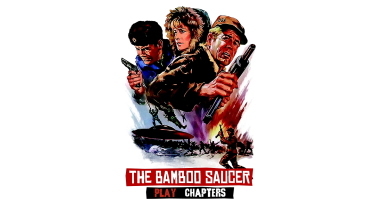 The two teams race against time to find the alien craft and its promise of a fantastic jump in technology, while trying to avoid the Red Chinese troops in the area. 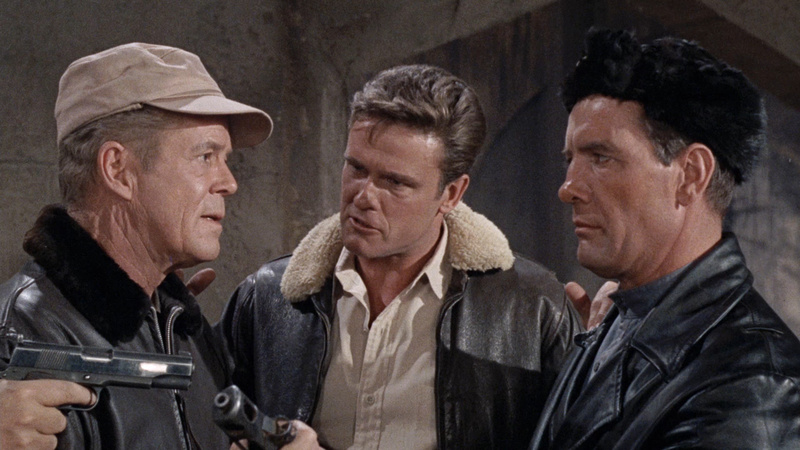 Television veteran Frank Telford directed this action-packed science fiction thriller with top-notch cinematography by the great Hal Mohr (The Wild One, Captain Blood). 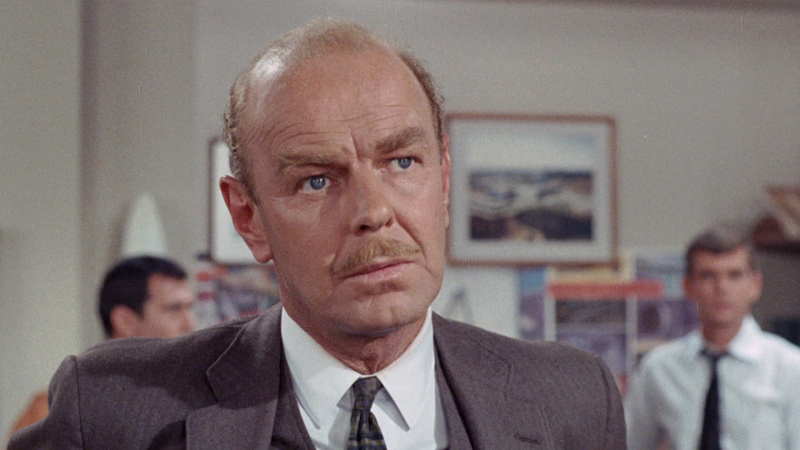 The stellar cast includes Dan Duryea, Bob Hastings, Bernard Fox and James Hong. 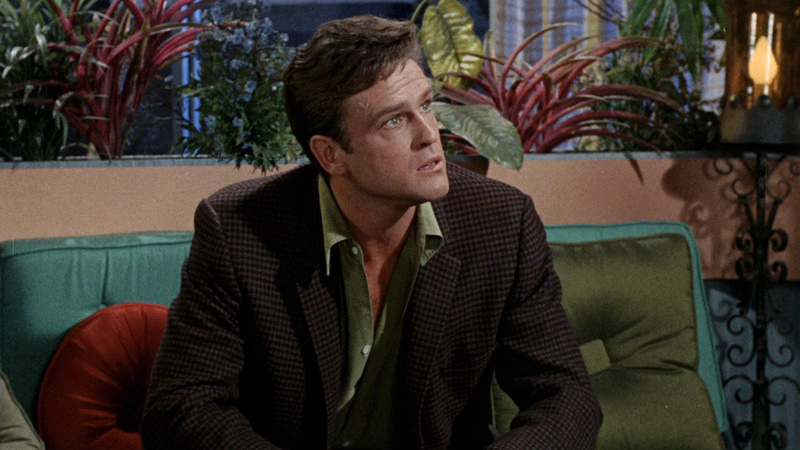 A veteran cast gives the 1968 cheapie The Bamboo Saucer what little credibility it has. 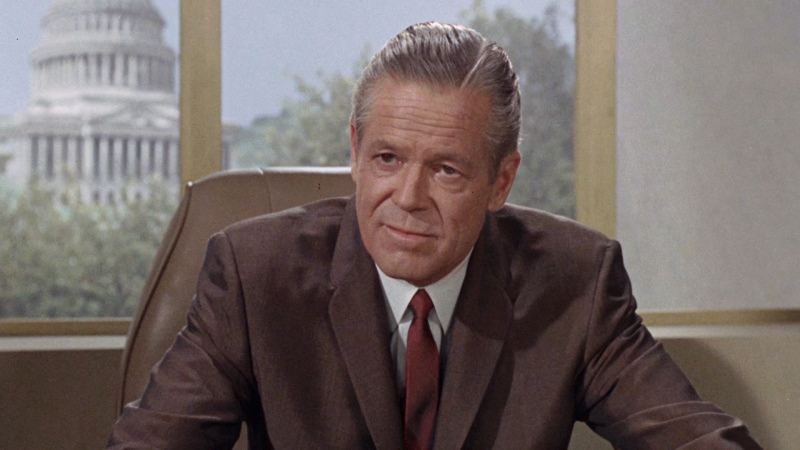 In his last role, Dan Duryea plays the head man of an expeditionary force in search of a missing UFO. Since the craft was last sighted in the mountains of Red China, the search takes on political significance. 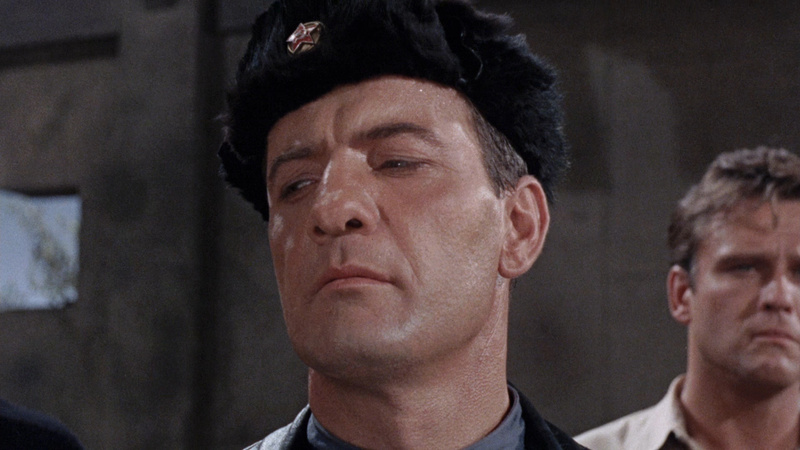 Duryea's American team is eventually forced to align itself with a similarly-purposed group of Soviet researchers (this being a 1968 film, the real bad guys are the Red Chinese). 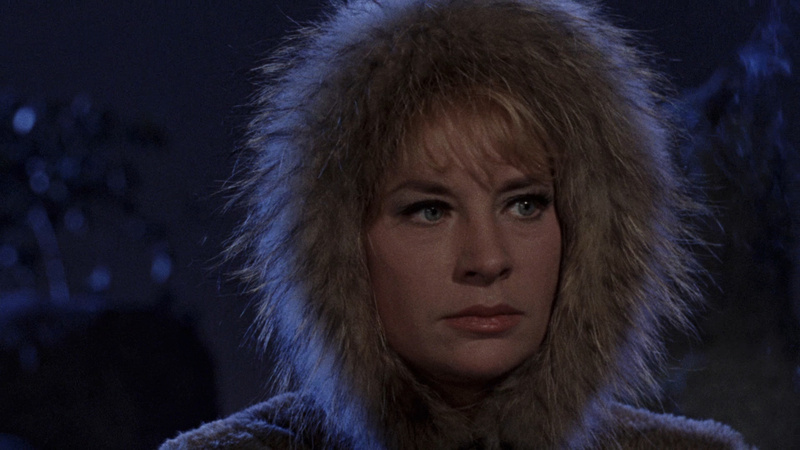 Lois Nettelton has some wonderfully campy moments as a Russian scientist. 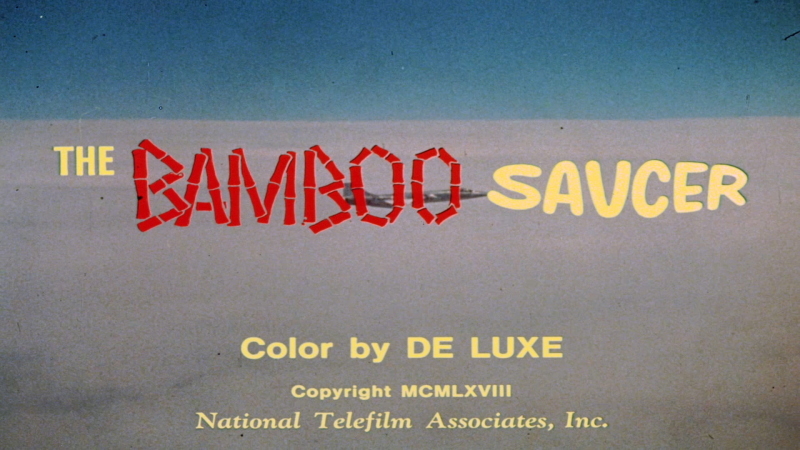 Bamboo Saucer was produced by Jerry Fairbanks, of "Speaking of Animals" and "Crusader Rabbit" fame. 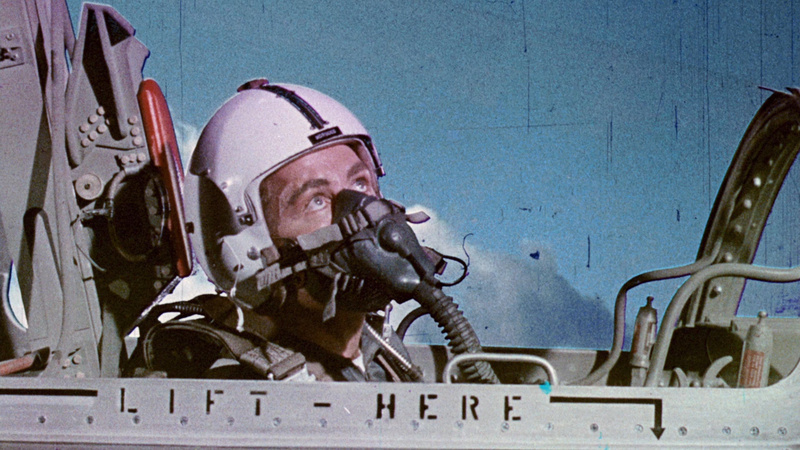 Fred Norwood (Ericson) is a crack test pilot, flying the experimental X-109 (actually footage of the F-104 Starfighter). 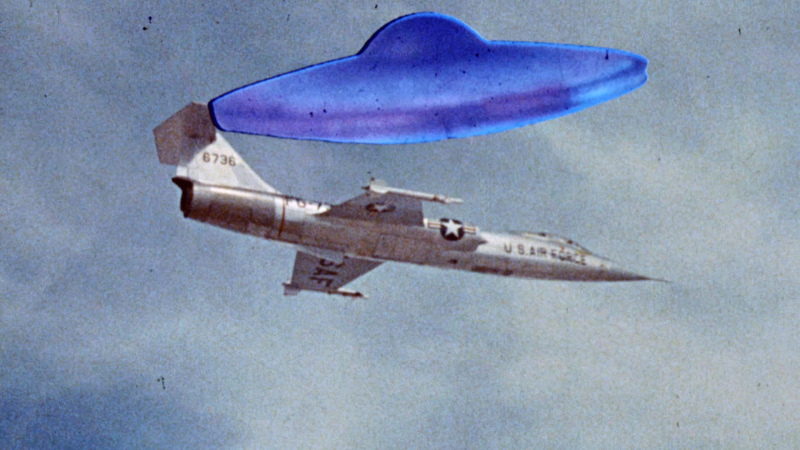 He is buzzed and chased by a glowing blue flying saucer. His radical maneuvering gets him in hot water with his bosses on the ground. No one saw his flying saucer. No radar blip either. He is scrubbed from the X-109 program as unstable. Fred convinces his brother in law to let him use the laser radar gizmo he's been working on to look for blips invisible to regular radar. Eventually, one is found, but Joe goes up to check it out while Fred sleeps. Joe's plane is broken up in the air. Fred tells FAA investigators about his saucer. 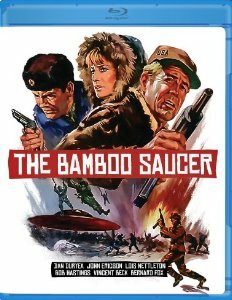 The Bamboo Saucer has a, predictably, modest Blu-ray transfer from Olive Films. 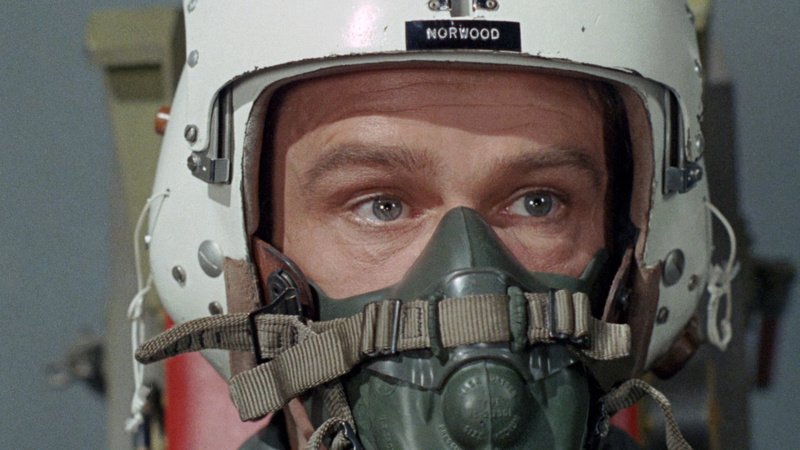 The film's most amusing visual feature are the poor effects and use of poor quality stock plane flight footage. 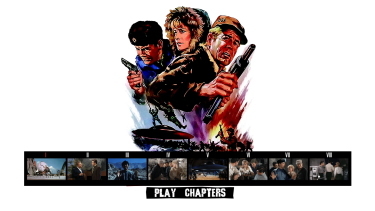 It is rife with damage where the rest of the film, in 1080P, looks fairly clean. This is only single-layered with a middling bitrate. Colors look strong with nice hues and there are instances of depth and reasonable detail. Frankly it looks far better than the film deserves. The 1.78:1 Blu-ray improved the presentation over an SD rendering and aside from the stock footage - looks quite decent. The DTS-HD mono track at 827 kbps sounds a bit scattered. There is no depth or range to speak of and the audio effects are only slightly superior to the video effects. Overall, it is fairly unremarkable with a bare couple of instances of depth. There are no subtitles and my Oppo has identified it as being a region 'A'-locked. Wow - I haven't seen a film this... weak in a long while. I love it! It is definitely of the variety of being so bad - it's good - if you look at it in the right sense. None of the stars can save this turkey's meager production values. What gives it appeal are how bad the effects are. They are as laughable as I've ever seen. 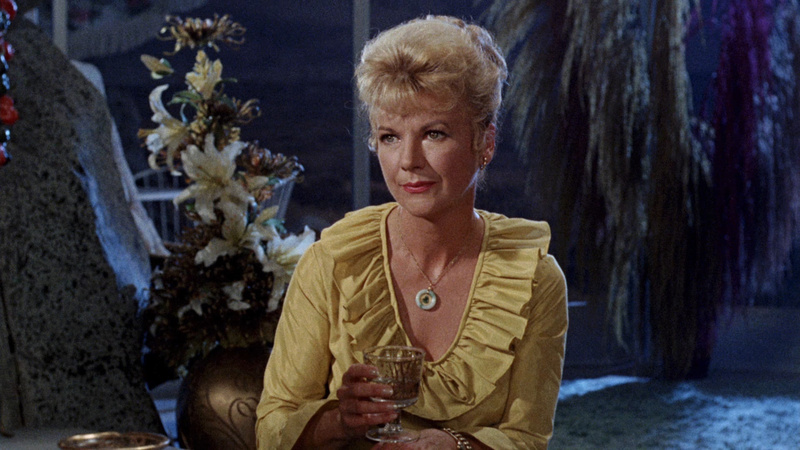 The Olive Blu-ray is bold (to even exist) but fans of schlock will have one of the premium efforts in The Bamboo Saucer. Recommend to those, like I, who love the imperfect science-fiction dregs that surface from past decades. Everyone else should simply smile and pass.